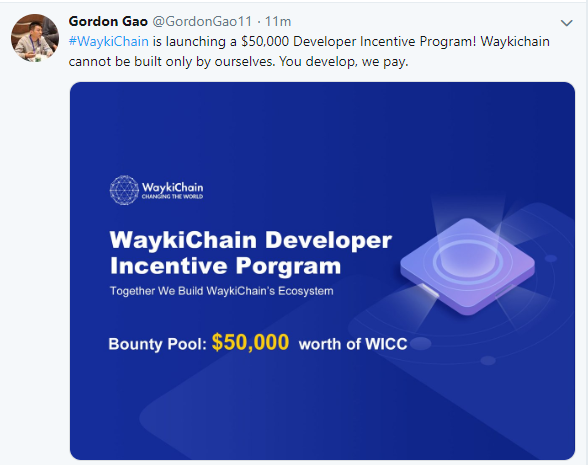 On Jan 29, 2019, WaykiChain’s CEO, Mr. Gordon Gao announces via Twitter WaykiChain(WICC) will launch a developer incentive program with an incentives bounty pool of $50,000 worth of WICC to build a more robust public chain and enrich WaykiChain ecosystem. 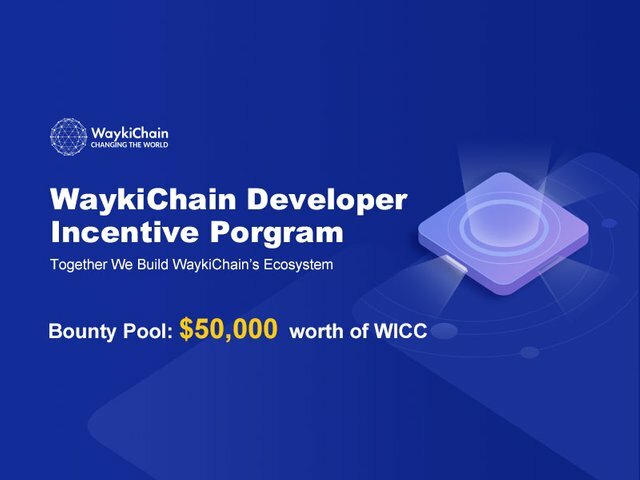 The overall incentive bounty pool is $50,000 worth of WICC to encourage and reward developers’ hard work and contribution to WaykiChain’s development. Launched in May, 2017, WaykiChain is a 3rd generation public chain that utilizes a DPoS consensus mechanism. The blockchain can sustain transactional throughput above 1,000 TPS in actual use. WaykiBet1.0, which was launched on WaykiChain on May 13, 2018, is the first ever prediction DApp based on a public chain with over 130,000 downloads; the DApp has now been updated to V2.5.